With the coming of spring even the most confirmed townsmen may feel the ancient farmer instinct: an irresistible desire to touch the ground, smell the scent of earliest flowers and eat the first berry. If you are a lucky owner of a balcony or a loggia, you won’t have any problems to create a home garden. 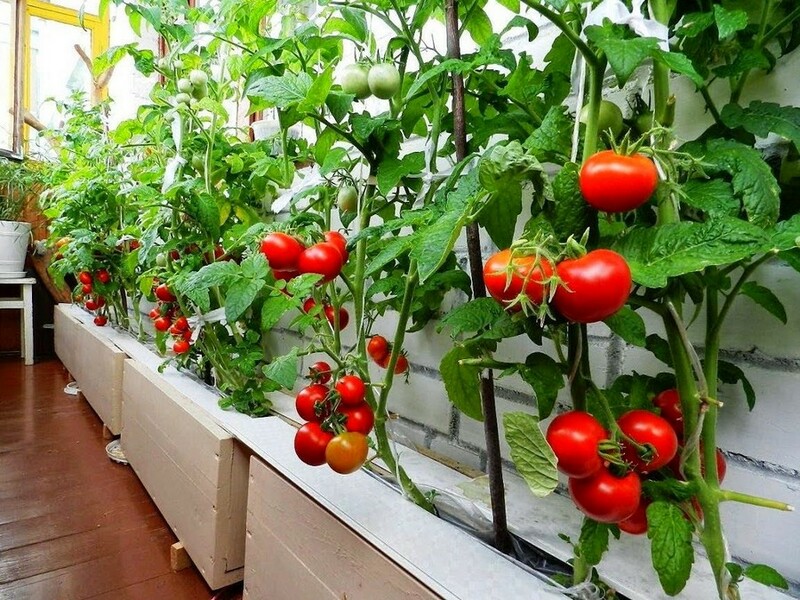 Tomatoes, cucumbers, zucchini and even potatoes can grow perfectly on the balcony and please you with not just their fruits, but with their ornamental characteristics. The most important point here is to choose the right varieties and be aware of some peculiar moments of care about them. So, let’s start! 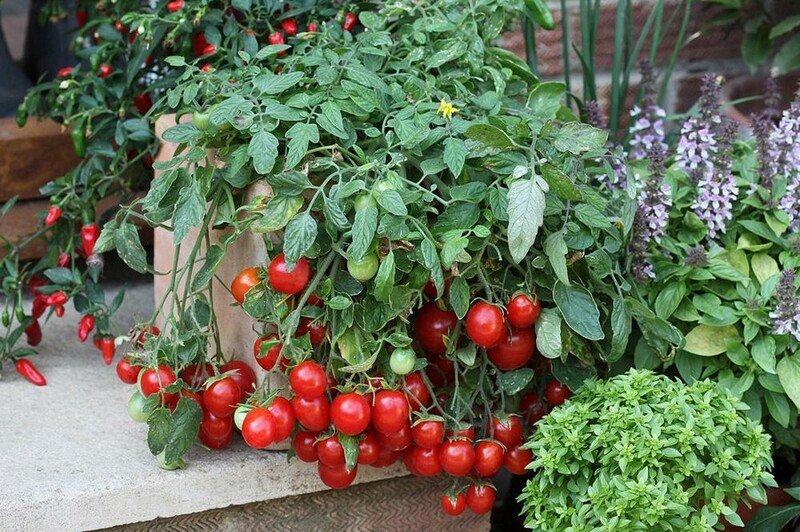 A win-win option for the balcony garden is cherry tomato. Its small fruits grow in clusters and seem to be created especially for the balconies. Tomatoes love and need much sunlight. If your balcony is south-facing and the sun is very strong and direct, water your plants only in the evening time. In wet weather watering just once a week would be enough. Sprawling stems of cucumbers are a nice alternative to ornamental vines that are frequently found on balconies and in garden gazebos. If you are determined to grow cucumbers, you will need a trellis, and it will be kind of a piece of décor per se. The best option for balcony gardens is hybrid species. 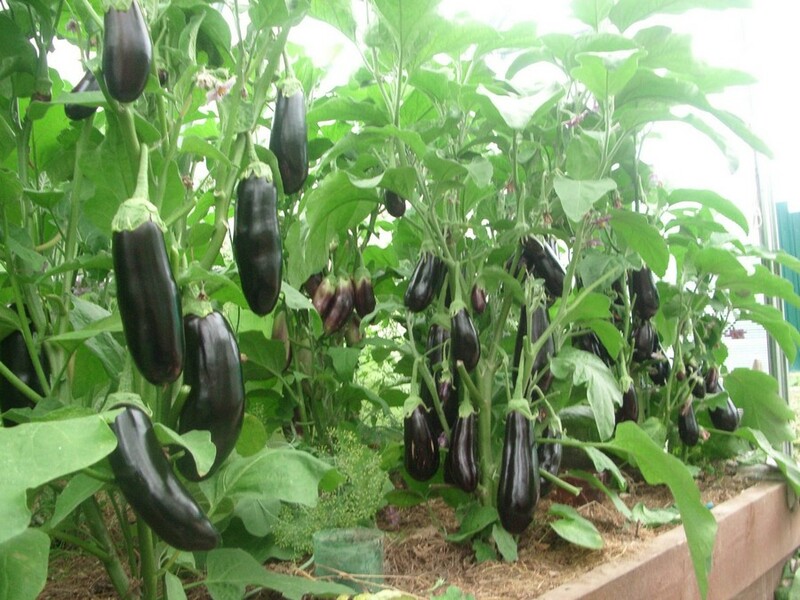 Cucumbers have a great moisture content, and hence need more water than tomatoes. And when the weather gets especially hot, a pot with water would be very welcome next to your cucumber containers. And they also love warmth. A pepper needs a pretty roomy container with a sufficient number of drainage holes. And air. Peppers love breathing and would be very glad if you loosen the soil every other day. By planting peppers of two or three different colors you would get three benefits at a time. Firstly, a great ornamental effect. Secondly, a chance to make yourself a fresh eco-salad anytime you want. And finally, a bunch of free natural vitamins. Have you heard that pepper has more vitamin C than citrus plants? Besides, it contains vitamin B1, folic acid, rutin, carotene, and riboflavin (vitamin B2). 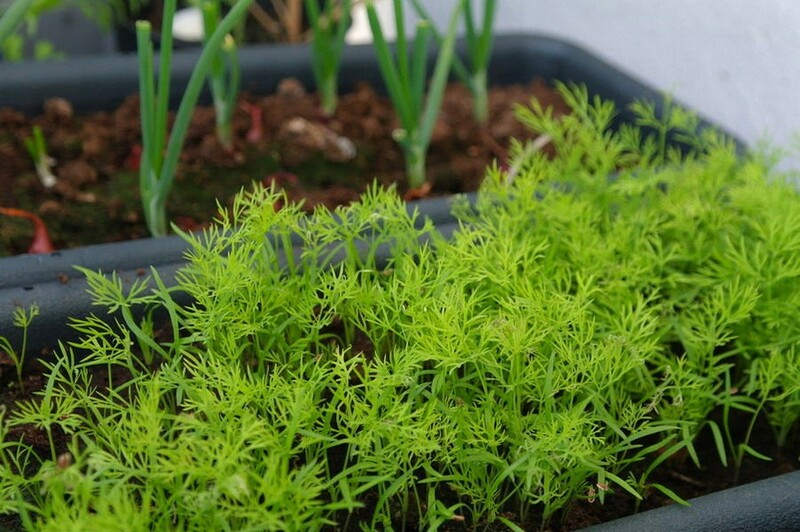 Though green onion and dill are deemed pretty undemanding, you should know that they can’t stand direct sunlight. Overheated greenery may become withered and fade completely. Having a strong root system, aubergine likes much space. So the rule is quite simple: the bigger container you choose, the larger harvest you will gather. Opt for nice flower pots with the volume of 5-10 liters and eggplants will dress up your balcony and supply you with healthy food. Feel free to plant lettuce, unless you have a south-facing balcony. 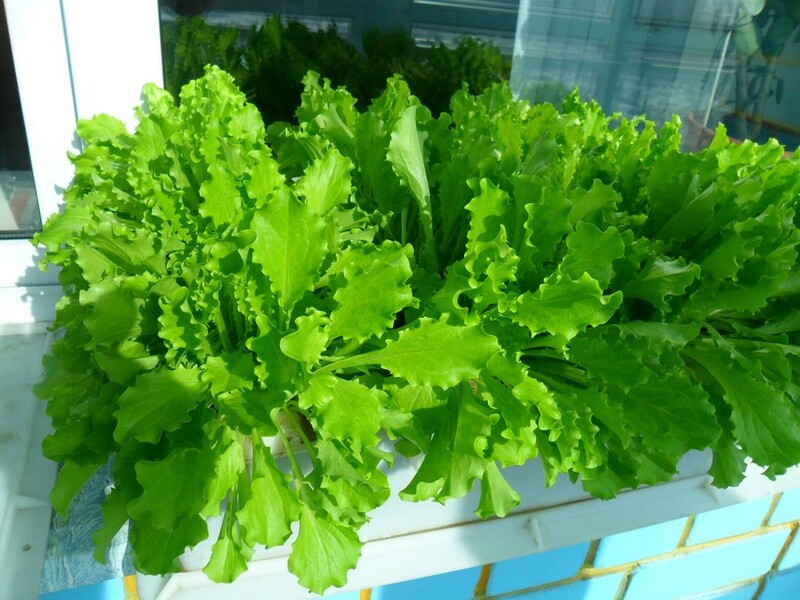 Lettuce feels great in cool places, while overheating is harmful for it. 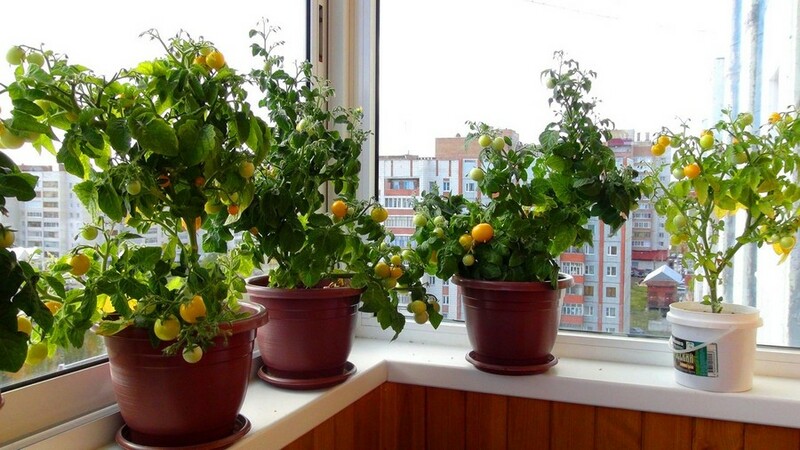 If you wish, you can even grow potatoes on the balcony. Contemporary tinkerers have already invented special double pots: they create optimal environment for the growth of potatoes and let you monitor the harvest periodically. 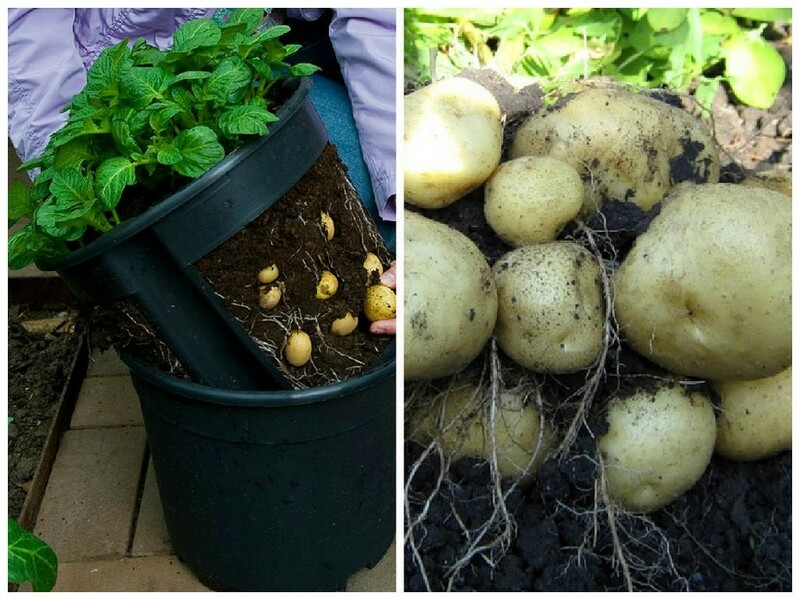 You can gather bigger potatoes and cook them for dinner, while smaller ones are left to grow further. Besides, potatoes are pretty ornamental, especially when they blossom – don’t forget that earlier people planted them on flower beds! 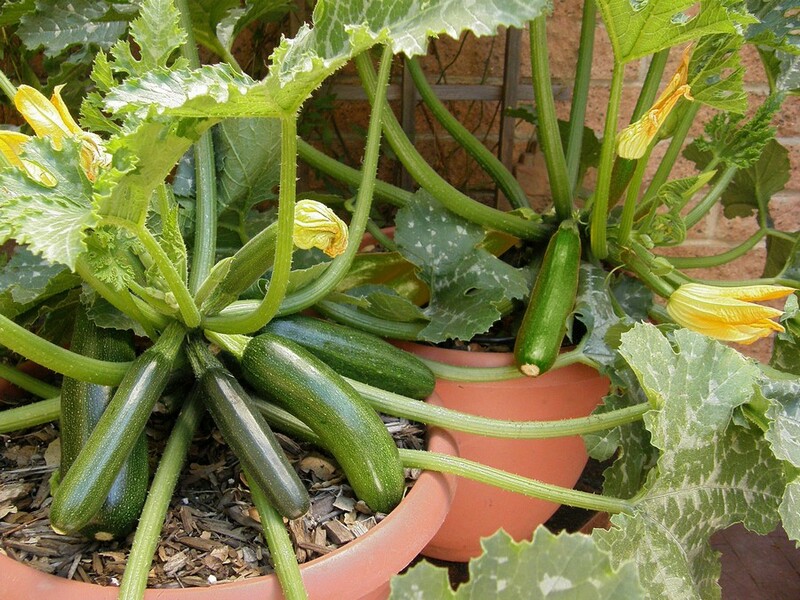 Just like eggplants, zucchini have a well-developed root system and need big containers. Besides, they require frequent watering in large doses. This plant has very bright blossom and will become a piece of décor on your balcony. Radish is pretty undemanding. 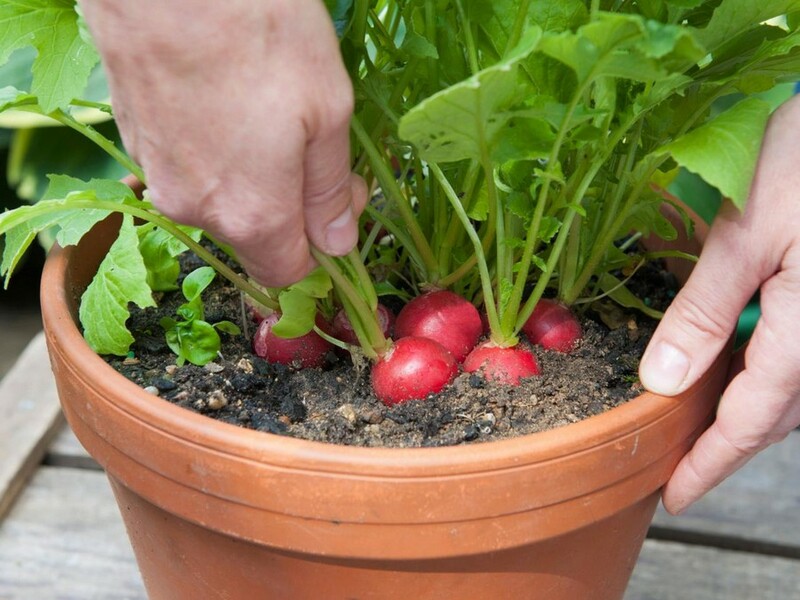 Peek varieties that take less time to mature, water daily and you’ll be able to gather the harvest a few times during the summer period. 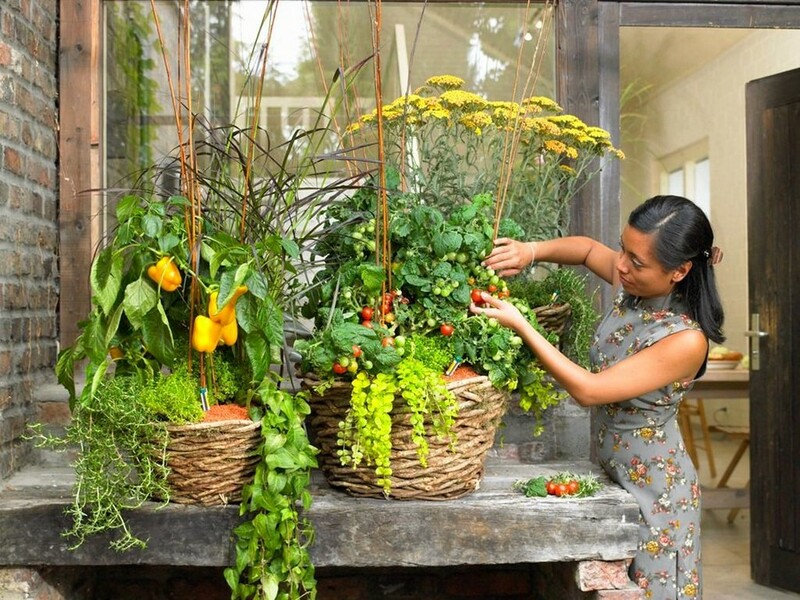 We hope our article inspired you to get yourself a small balcony garden this year!